If you have been watching the news you know that Nashville’s Metro Council was waiting to vote on a bill that would lessen the penalty for those caught with small amounts of marijuana. On Tuesday, September 20th, history was made when Nashville’s Metro Council approved the bill in a 35-3 vote. The bill does not make it legal to carry or dispute marijuana, but rather lessens the penalty for people who knowingly possess or exchange a half ounce of marijuana. The new bill will allow officers to give a $50 fine and community service to those caught in possession of the substance. Before Tuesday night’s decision, anyone found in possession with any amount of marijuana faced a Class A misdemeanor charge punishable with up to one year in jail and a $2,500 fine. The bill is now headed to the desk of Mayor Megan Barry who reportedly told various news outlets that she would sign the bill into law. It’s important to understand that this new measure, soon to be law, does not make it legal to carry, sell or dispute marijuana in the Nashville, TN area. But the law is an effort to not charge or treat good members of society like hardened criminals. Police will be able to handle these particular situations on a case by case basis. Please keep in mind that although the measure has been approved, it has not been signed into law yet. 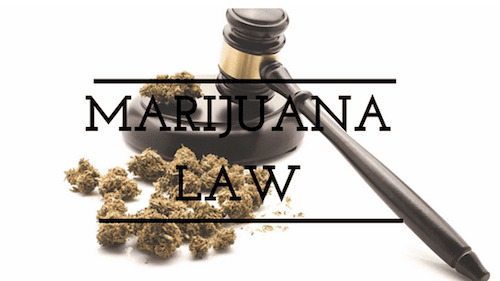 Again, marijuana is still an illegal substance, and once the bill is signed into law, it will only affect those who are caught with less than a half-ounce of marijuana. If you have a legal issue in Nashville, Tennessee area, Criminal Defense Attorney Bernie McEvoy is ready to help with your case. Contact the Law Office of Bernie McEvoy at (615) 255-9595 today.